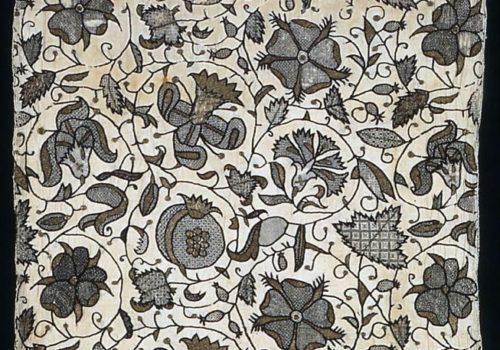 English Blackwork cushion cover, late 16th century. 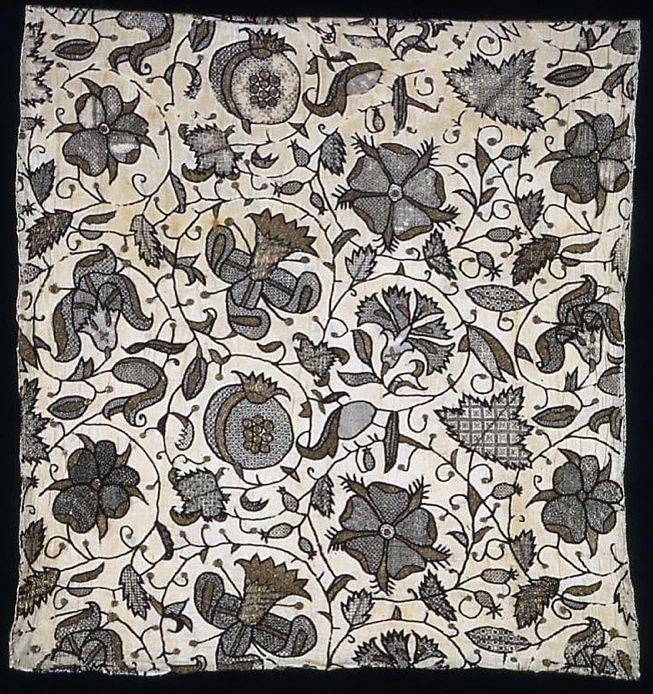 Linen embroidered with silk and metallic thread, in a mix of counted and free-stitched stitches, including buttonhole, chain, double running, overcast, plaited braid, and square open work stitches. Art Institute of Chicago textile collection.